Describes current practices in the assessment and treatment of eating disorders by multidisciplinary experts in the field. Approaches the treatment of eating disorders in a culturally competent manner with chapters on patients who are older, athletes, of various ethnicities, men, diabetics, in college, and who identify as LGBT. Includes clinical examples and case studies provide additional learning opportunities for students and practitioners alike. Provides informative and detailed treatment approaches that are written in easy to understand language. Expands interdisciplinary competence for dietitians, psychotherapists, and physicians. Eating disorders are among the most complex disorders to treat, typically requiring medical, nutritional, and psychotherapeutic interventions. High relapse rates and the sense of urgency to save lives and minimize or prevent lifelong problems present challenges for even the most seasoned treatment providers. 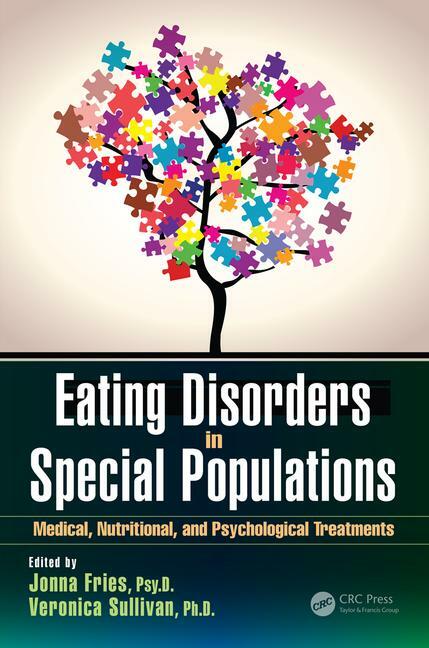 In an engaging, clear, and concise manner, Eating Disorders in Special Populations: Medical, Nutritional, and Psychological Treatments prepares physicians, dietitians, and psychotherapists to navigate the labyrinth they enter with eating disordered patients. Aggregating a vast amount of information and perspectives in a clear and concise format, readers will gain insight into the minds on both sides of the treatment room. From leading experts in the field, readers will learn how dietitians, physicians, and psychotherapists conceptualize and treat people with eating disorders, and treatment providers will discover the nuanced etiologies of eating disorder symptoms in a range of diverse populations. Increase your cultural competency and expand your practice by learning how eating disorders are created, maintained, and resolved. Join us in bringing light, health, and hope to our patients and to our colleagues across disciplines.